Although Summer is pretty much over and everyone is prepping for vampy lips and dark eyeshadow, I’m still stuck on my bright lipsticks. Orange is a color that I truly believe can be transitioned from Spring/Summer to Fall. Winter not so much. Since the days in New York are still a little warm I decided to show you guys my favorite Orange lippies! You still have time to rock this shade so feel free to make those lips stand out! Orange isn’t a color for everyone. It sort of falls into that drastic color box with purples, blacks, blue’s , and pretty much every other “different” lipstick color. I love to have fun with my lips so I decided to include different shades and pigmentations so that there’s something for everyone! 1. Maybelline ColorSensational Vivids – Electric Orange : Definitely one of the truer more pigmented Oranges. This formula is amazing. Super creamy and glides right on. You do have to reapply throughout the day, but it does not dry out your lips. 2. 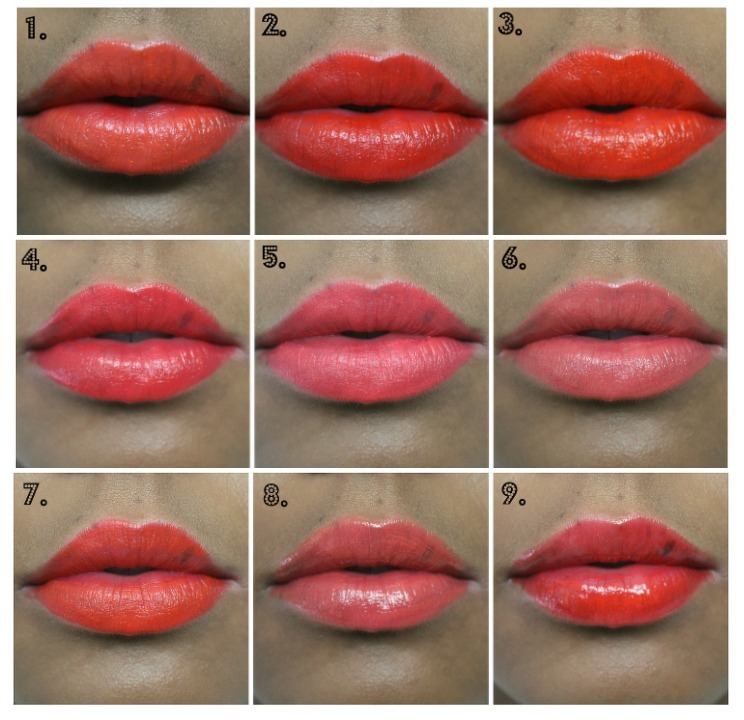 NYX Butter Lipsticks – Hot Tamale: Probably one of the truest Orange lipsticks you’ll ever find. Looks like an Orange Crayola straight out of the crayon box. Easy formula, Glides right on. Doesn’t stain the lips and is moisturizing. 3. YSL Rouge Pur Couture – 13: Super pigmented and moisturizing. Love the way it feels on my lips. Also very true Orange. You have to reapply with this one as well. Only thing I don’t like is this lipstick tends to feather so make sure you wear a lip liner with it. 4. Maybelline ColorSensational Vivids – Vibrant Mandarin: This lipstick is more of a Reddish Orange. If you don’t really like stepping out of the box when it comes to lipstick colors but you want to stay on trend, this is probably one of the best fits for you. It definitely looks more Red than Orange but is clearly still Orange. 5. Revlon ColorBurst Matte Balm – Audacious: First of all, let’s talk about my love for this product in general. It’s matte and the formulation is amazing! I also own the purple one and I love it. Although it’s matte, it feels amazing on the lips – not drying at all. The color isn’t as pigmented as I would love for it to be but it’s a very wearable Orange. Great for daytime! 6. Too Faced Melted Lipsticks – Melted Coral: This is another matte lippie which is perfect for those of you who are not into the whole glossy lips thing. I have really dry lips 90% of my lifetime so for me, this lipstick is great when I pair it with a lipgloss, if not it’s not really my favorite. The color is very toned down so you can definitely get away with it during the day. 7. Wet ‘n Wild Megalast Lipsticks – Purty Persimmon – Umm, let’s talk about the price point for such an amazing product! I’m pretty sure I only paid $2 for this at the drugstore and sometimes they’re buy one get one 1/2 off. How amazing is that!? This is probably one of my most worn lipsticks because it lasts all day! The only two downfalls is that it is super drying on the lips and it also stains them. Other than that I totally recommend this lipstick, especially for the price point! 8. NYX Butter Gloss – Cherry Cheesecake: I mean who doesn’t love NYX’ lip butter glosses? They’re a must have in anyone’s makeup collection! This is the perfect orange to wear either by itself or over a lipstick. It’s pigmented enough to wear alone but also light enough to wear on top of other Orange lipsticks. 9. Revlon Colorstay Moisture Stain – Miami Fever: This is a new product to me but so far I love the way it feels on my lips. The pigmentation is okay… I feel like it goes on very streaky but I love that it’s a bright Reddish Orange so it’s very wearable and can be daytime and night time appropriate. So those are all of my favorite Orange lipsticks of the moment. I had a mixture of high end and drugstore which is amazing! I hope you guys found this post helpful when trying to choose an Orange lipstick. If you’ve tried any of these or have any other recommendations please leave them below.. We all know I love to try new products! 3 is my fave, what liner so you use? Try tom ford wild ginger. The color is amazing if you want red/orange, but you know I love my tf 😊. 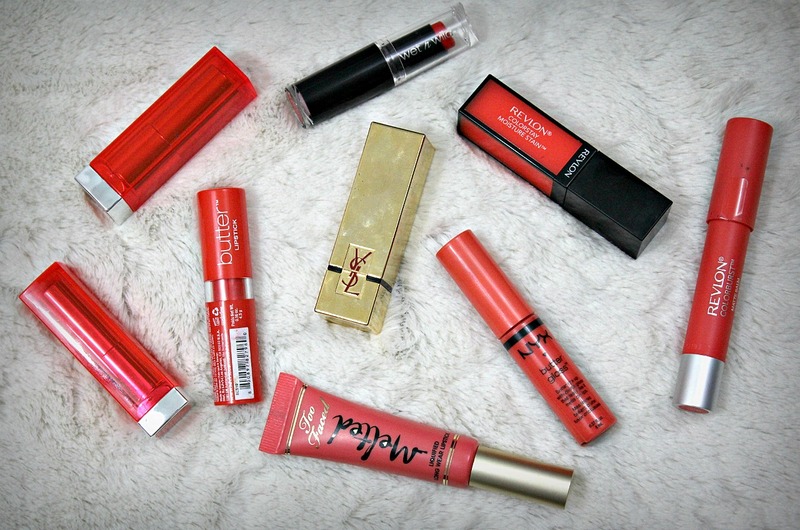 I use the NYX lip liner in the color Orange, super creamy and lasts forever. I have to get my hands on the Tom Ford lipsticks!